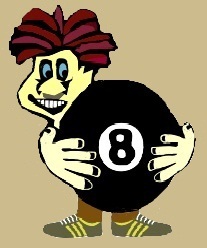 Welcome to RUSTY'S BILLIARDS Website! Rusty's Billiards, with 2 locations, is the perfect place to hang out, have fun, and meet new people. So come on over for a few beers and rounds of pool. Considered one of the best entertainment destinations, Rusty's Billiards, offers a pool hall and bar with the most popular games under one roof:pool, darts, arcade games, board games, and many more. If you like sports and entertainment, you'll love our flat screen TV's, Tournaments, Leagues and music from the Internet capable JukeBox with MyTouchTunes©. Rusty's Billiards offers a full bar with a wide selection of specialty drinks and "shots", daily specials, and a great staff. Should you happen to get hungry, the food menu offers different selections of both finger foods, snacks and munchies. Thank You for taking the time to look over our site. Should you see something that interests you please feel free to contact us through our website. Oh... and make sure to stop by for the big game and have a few drinks with your new friends and family.